Second week, and death of a confrere | Walk with us! As we noted previously, Fr. 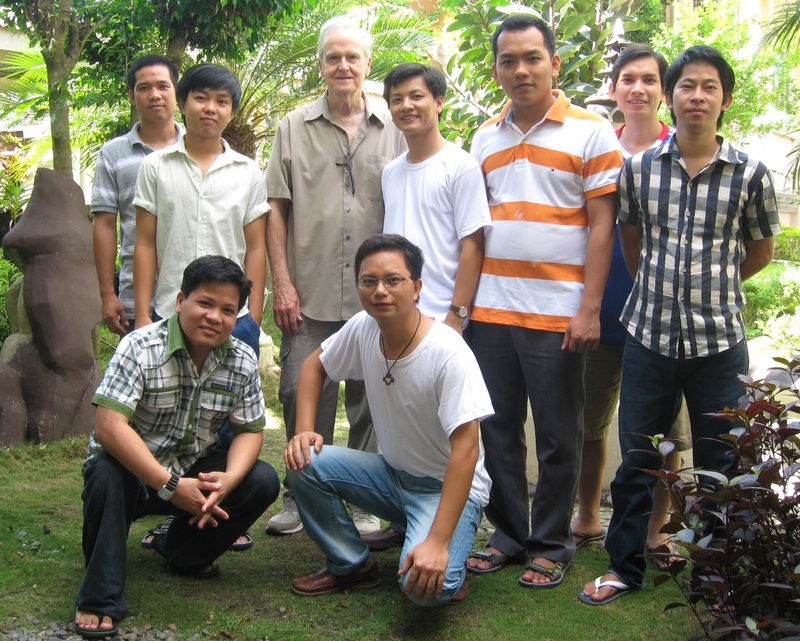 Johnny Klingler, SCJ, is in the Philippines teaching English April through May. He writes from the formation community in Cagayan de Oro. It is Sunday morning and I will soon prepare to travel to Palembang, Indonesia, for the funeral of Fr. Tom Fix, SCJ. He died last night after a battle with cancer. Now at peace, he surely will be missed by the people he served for so many years. 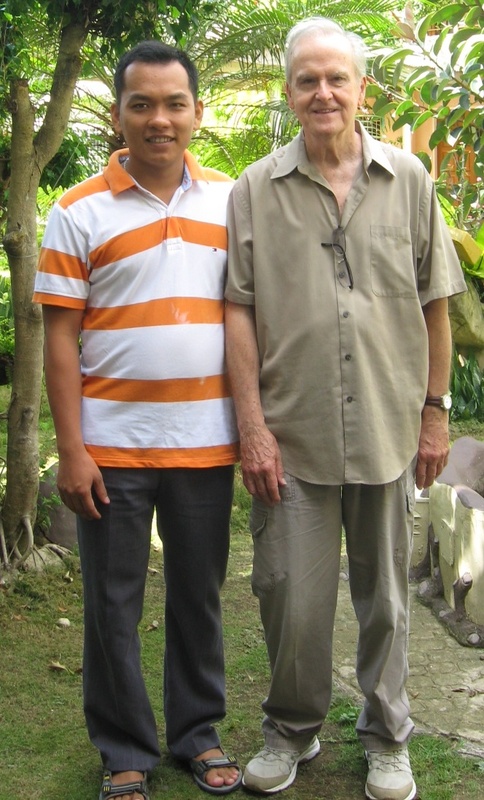 I was able to visit him in Indonesia on two occasions through the years. Fr. Johnny with one of his students. The second week of school went well and I continue to feel very positive about what I am doing. Besides being in the classroom the students call on me to help them in their punctuation and writing assignments.They are eager to learn and all need individual help. I have already used film and popular songs to help them. I recall my days at the seminary in Kilroe teaching writing and multimedia. Aside from school I went out one evening to an Italian restaurant and enjoyed some pizza and wine. It was a pleasant respite from rice, fish, and water. Saying that though I should add that the fish at our meals is good and a we are served a large variety as we live close to the ocean. We also at times enjoy a pasta and tuna dish which is delicious. Yesterday morning I went with one of the postulants to see something of the city. We visited the cathedral and Xavier University where the SCJ students study philosophy. It is very large and quite impressive. The city was crowded with Saturday shoppers and, of course, traffic and more traffic. I am happy that I do not have to drive. However, driving here would be easier than Rome. I hope in the coming weeks to visit some of our SCJ parishes and our novitiate, which is about six hours away by car. This past Tuesday there was a final profession at the novitiate. The intense hot summer continues. I sweat most of the time even after a nice cold shower! Grateful to continue to hear from and about you. May Tom Fix rest in peace. Glad that you will be there for Tom Fix. Peace! So glad you were able to go to the phillipines and teach English. I’m sure your students will be unhappy when you have to leave them. Nice to hear you are also getting out a little. Safe trip to Indonesia. May Fr. Tom, rest in peace. Your words about Fr. Tom were beautiful. Good your English classes are going well.